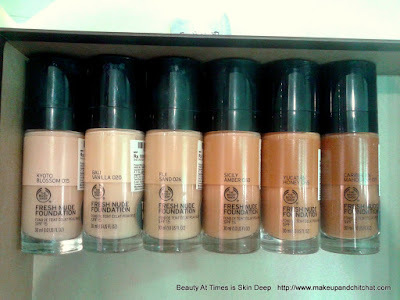 I had the swatches of these foundations before, but somehow, I forgot to put these up. You must be aware of the launch of shade adjusting drops. Along the same time, these foundations had been introduced. I do not know why I didn't reach much about these. in the store and the colors vary from light to quite dark and this is a good news for Indians since we fall in a wide spectrum of colors. 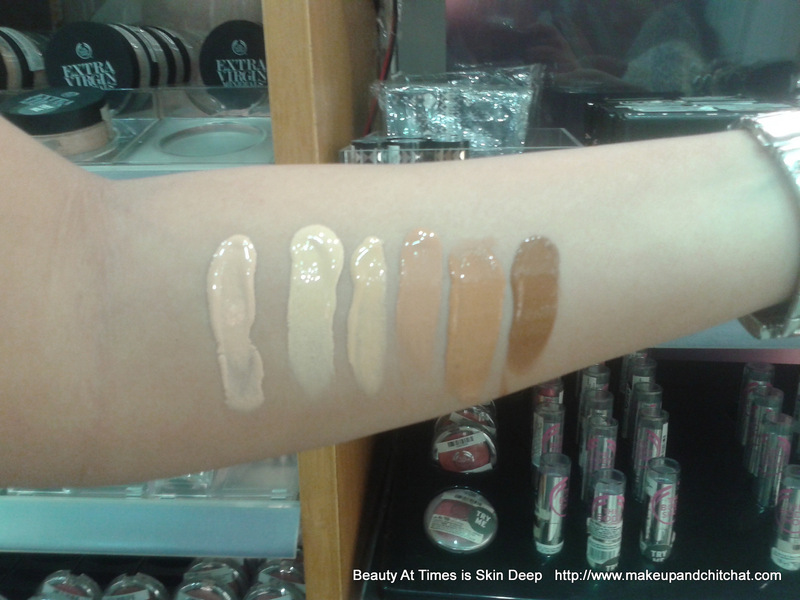 Most of the colors are warm in tone and the selection of medium range is also quite nice. 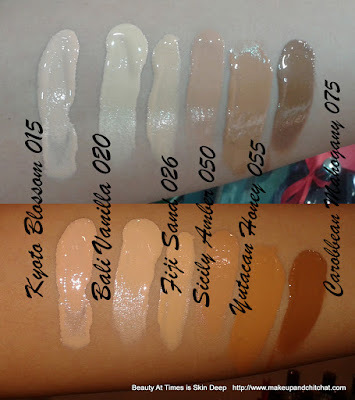 I have swatches of these in the store light and also under flash. I had earlier reviewed the Extra-Virgin mineral foundation which I did not love much later and oil-free Balancing foundation which I disliked. I hope this time The Body Shop has got it right with the formula , more so, since the color selection should be good for us. 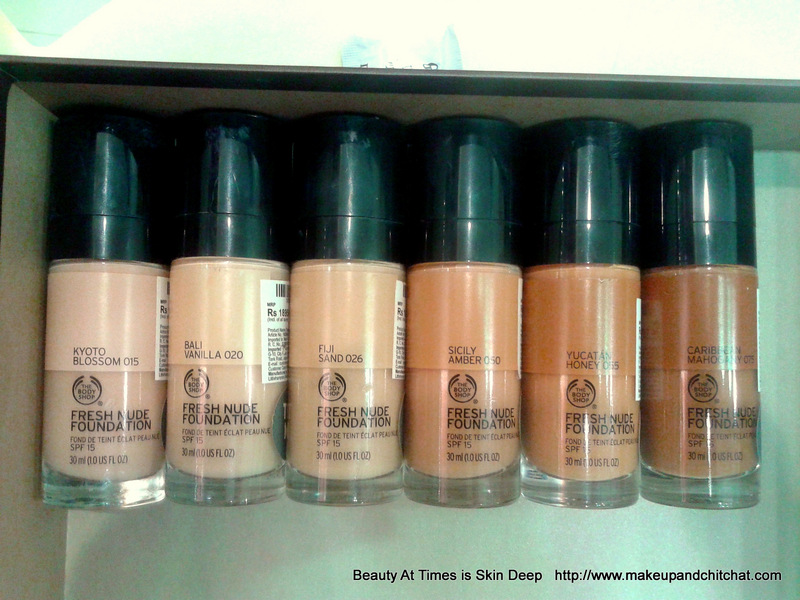 I am pretty intrigued by these foundations, especially, since I am always looking for good drugstore options. 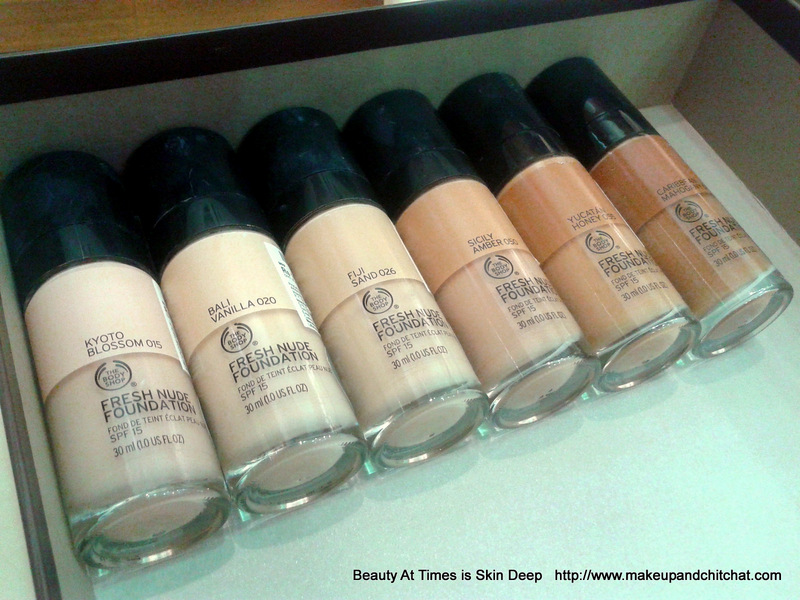 Have you tried these foundations? What do you think of these? I am using this and I like it. Yet to confirm if the price tag is justified for the foundation. I really need to check these out! I guess I might pick the darkest shade. Thanks for the swatches, Nivedita! Oh this is very helpful, thanks. 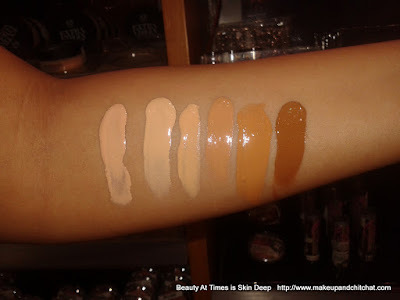 That's great that they have shade for every skin tone! I have never tried TBS foundations but the wide shade variety is great and it is perfect for Indiamln skintones.Would love to try these.